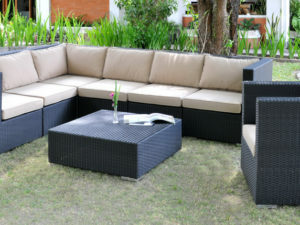 Benetton Set consists of several parts, viz. 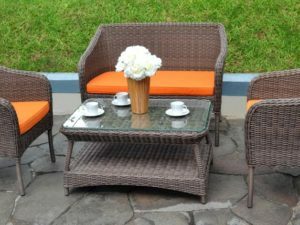 2 Benetton Arm Chair with Dimension 66.5 cm (h) x 76 cm (w) x 76 cm (d), 1 Benetton Love Seat 66.5 cm (h) x 141 cm (w) x 76 cm (d), 1 Benetton Coffe Table 46 cm (h) x 51 cm (w) x 100 cm (d) and 1 Benetton End Table 46 cm (h) x 61 cm (w) x 61 cm (d). 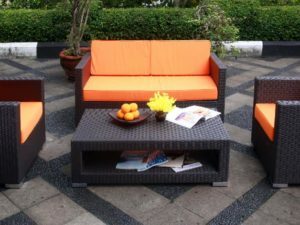 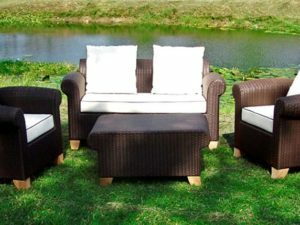 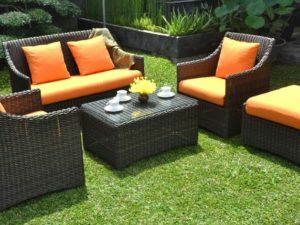 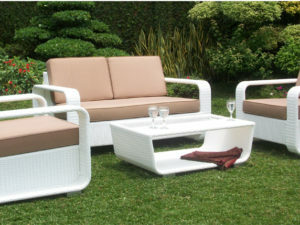 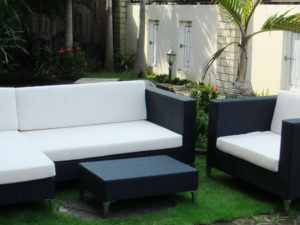 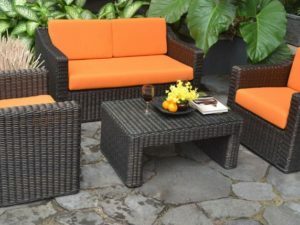 Benetton Set woven by synthetic rattan in attractive color of honey and red color in cushion.